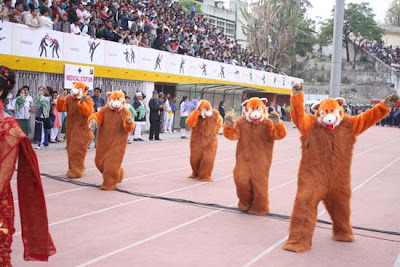 Below is a photo of the mascots of the 5th National Games. I'm pretty amazed that they had multiple mascot costumes made as they can be quite expensive. It would be great if all Nepali football clubs had their own mascots, but maybe that is too ambitious for clubs who can't even be bothered to play in their own colors.